Victor Pena is accused of holding Olivia Ambrose against her will in his apartment, where police found her on Tuesday. Ambrose had been missing since Saturday, and police said she appeared to be in good health. Pena, 38, will be held without bail and will be sent to a state hospital for a 20-day competency evaluation. Joseph Perullo, an attorney for Pena, said after the hearing that it’s too early to comment on the specifics of the case, but Perullo said he’s happy that Ambrose is back home with her family. Ambrose vanished Saturday night after leaving a bar near Faneuil Hall in downtown Boston, where she had been with her twin sister and friends. Ambrose told police that Pena took her phone, according to court documents. At one point, Ambrose managed to get her phone back and send text messages to her mother, they say. When police entered Pena’s apartment, Ambrose was crying and had a “horrified look on her face,” the documents said. 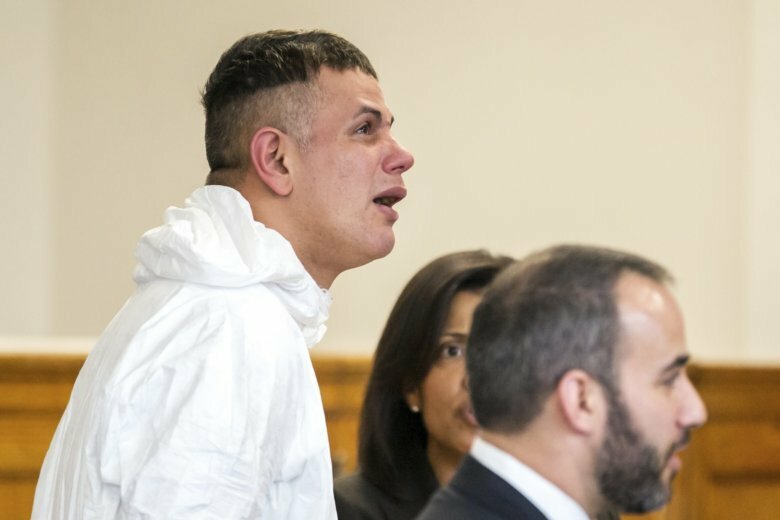 A court psychologist who examined Pena Wednesday said he expressed “bizarre” behavior and “did not appear to know why he was in court today,” The Boston Globe reported . Pena’s older brother told the newspaper that he believes there was a misunderstanding, calling his brother a “little bit mentally challenged.” Jose Pena said his brother is a hoarder and told him in a call from jail that Ambrose was cleaning his apartment for him. Victor Pena was arrested at Rhode Island’s Twin River Casino in July on charges of cheating and obtaining money under false pretenses. He was also accused in 2013 of violating a restraining order that his ex-girlfriend took out against him, documents say. The charge was ultimately dropped.